Easter Egg Hunting will be even more fun this year when the kids have their very own Bunny Wreath Personalized Easter Tote to collect them all with. 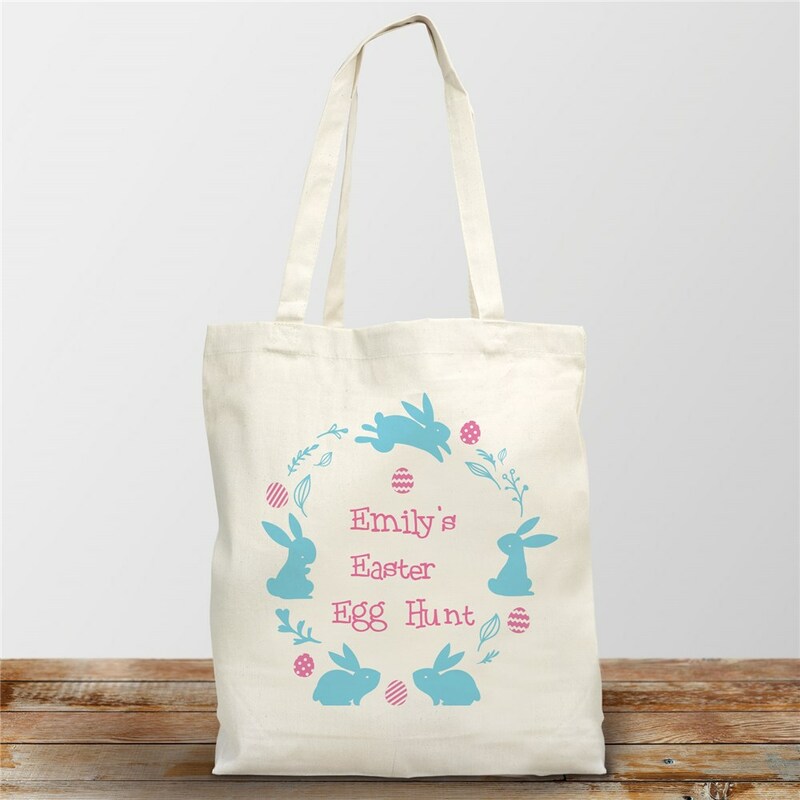 Our Easter tote bags are personalized with any name to make it truly unique. This cute Easter bag makes a great Easter gift for kids and a fun addition to any Easter Egg Hunt! My 3 1/2 old granddaughter loved the personalized Bunny Wreath Tote and enjoyed using it on her Easter Sunday egg hunt. Additional Details Take a look at our delightful personalized Easter Bunnies! They're a cuddly addition to any Easter basket. And be sure to check out our cute Easter shirts for kids, too.